I did it! 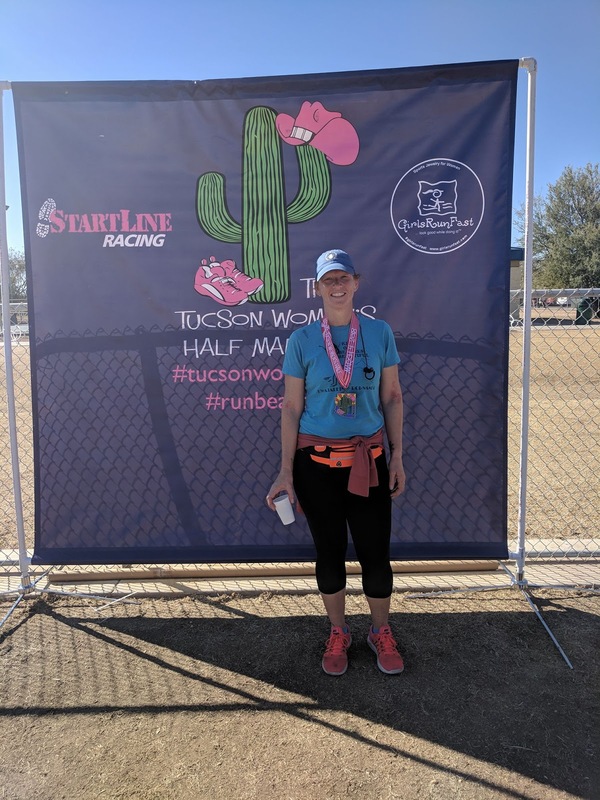 I ran the Tucson Women's Half Marathon and finished! 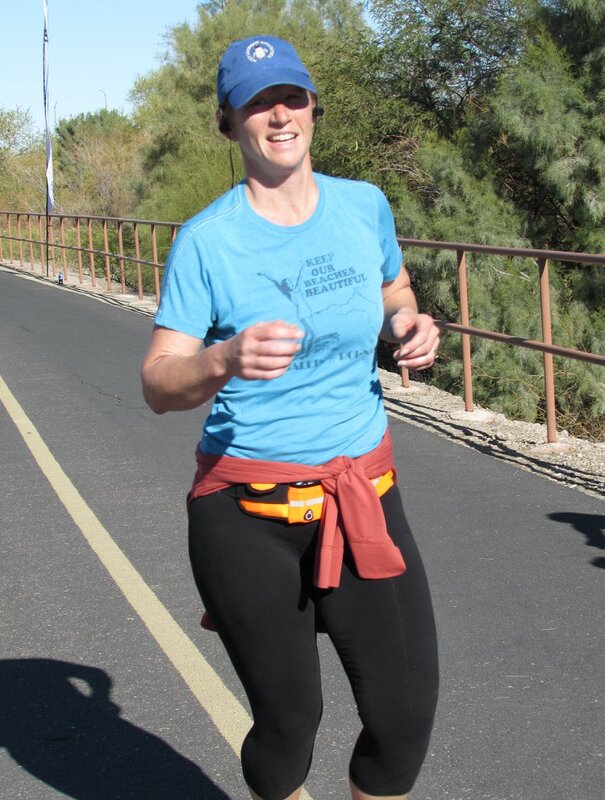 My total race time was 2:08:37 and my average pace was 9.42 min/mile. My goals for this first half marathon were to have an average pace of less than 10 minutes per mile and to not walk at all. I met the first goal and walked just one step so all in all, I'm calling this run a success. I will say that it was harder than I thought it was going to be. The first 8 miles were easy but about halfway through mile nine I lost the women I'd been pacing on and dehydration started to hit. Add that to the race heading up hill and I started to slow down. 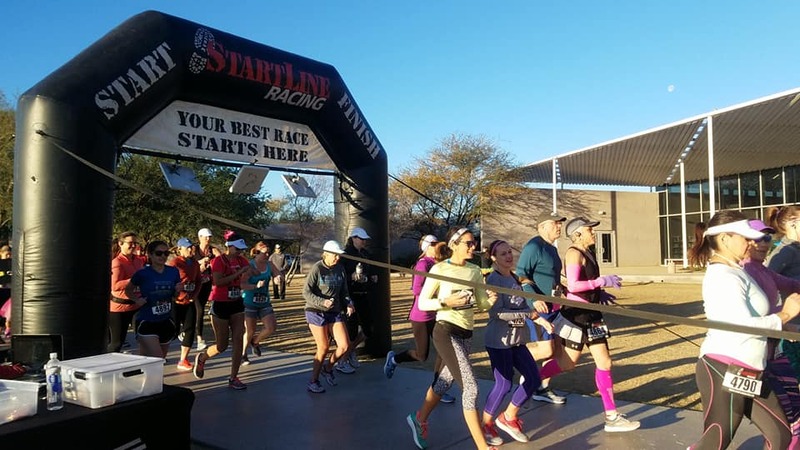 This race was an out-and-back style run where you run out to a point and then turn around and run back on the same track. 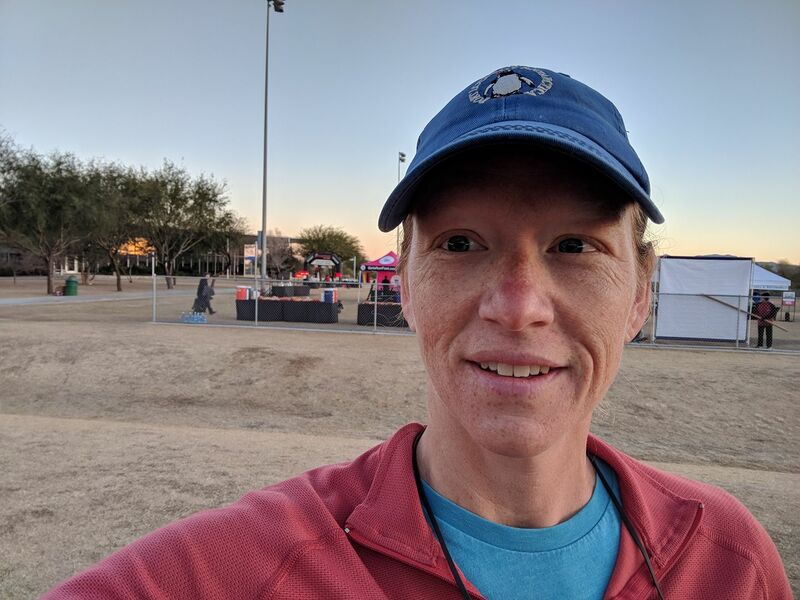 I was looking forward to that because I thought that passing the same points going each way would be encouraging but unfortunately, to make the full 13.1 half-marathon distance the route for this race passed the finish line and went on for another two miles. Those two miles were the hardest of the race- I had already passed the finish line and had to keep going! But now I'm happy I did it and proud of myself for seeing it through. It was great to do something just for me and to start having an identity for myself again, separate from my ones as wife and mother. After the race with my medal!